I have been into upcycling for a long time. 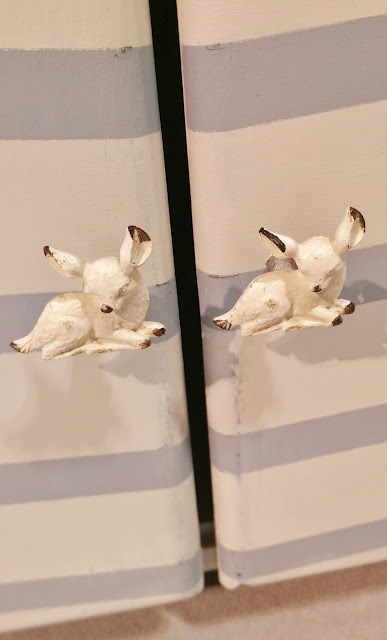 So far, I have upcycled a wardrobe with Farrow & Ball wallpaper (see this post here), and I currently have a mirror and shelf rack standing by for when time permits. I’m always browsing ideas on Pinterest too (see my Upcycling Ideas board here). 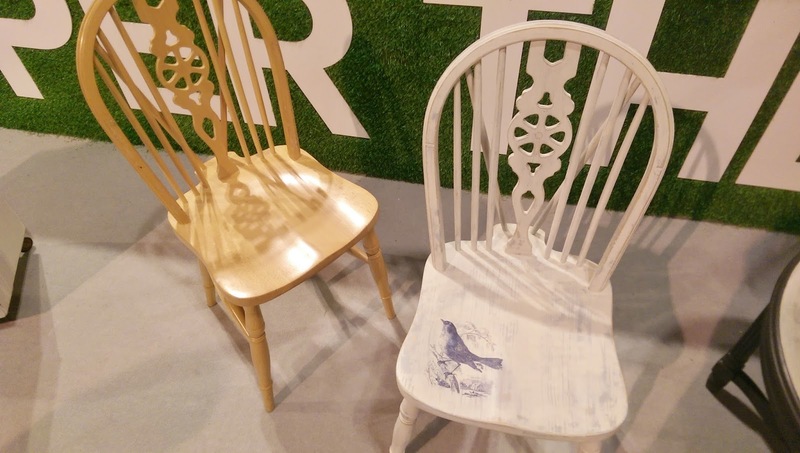 So, I was excited when I was invited along to a blogger upcycling event at the Ideal Home Show Scotland with Zero Waste Scotland and Revolve (Scotland’s second-hand quality standard). 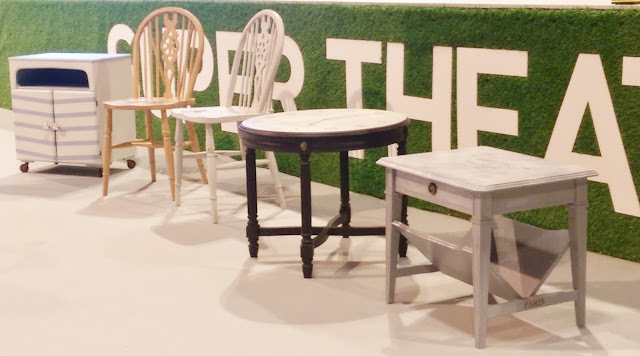 The event was hosted by TV interior designer John Amabile (who has designed a room at the show with upcycled furniture from Revolve-accredited stores), and featured tips from expert guest Emily Bevan-Pritchard from Emily Rose Vintage. 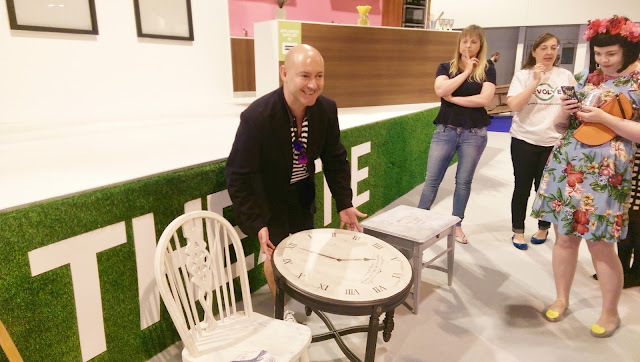 Some upcycling tips from John Amabile include keeping yourself inspired- “start collecting and create a mood board of styles, colours and fabrics in all different textures”. He also recommends that simple things such as changing drawer handles “can give a chest a new lease of life”. Finally, he advises that “paint and brightly coloured fabric can work wonders- look at your furniture and imagine what a lick of paint or some recovering could do”. 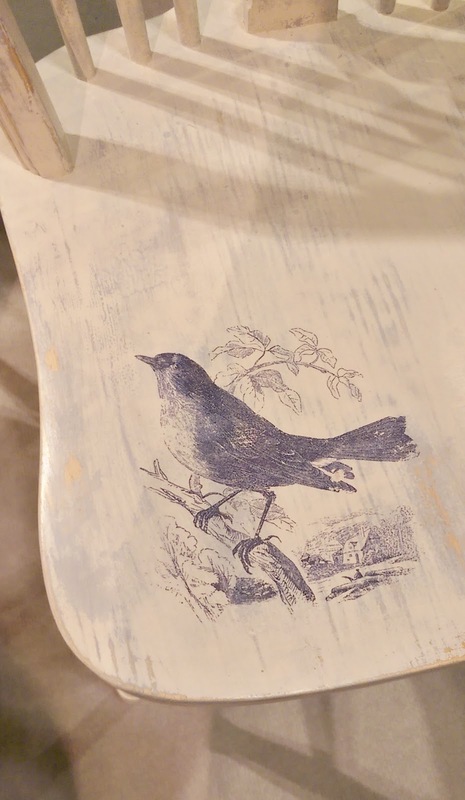 Also at the event, Emily showed a gorgeous cream shabby chic chair with a delicate bird print on the seat that she had created from a plain, basic wooden chair. This was my favourite of the upcycled furniture pieces shown at the event, and is actually really easy to recreate. The bird print is a transfer, and Emily has shared how to apply this on her blog, here. 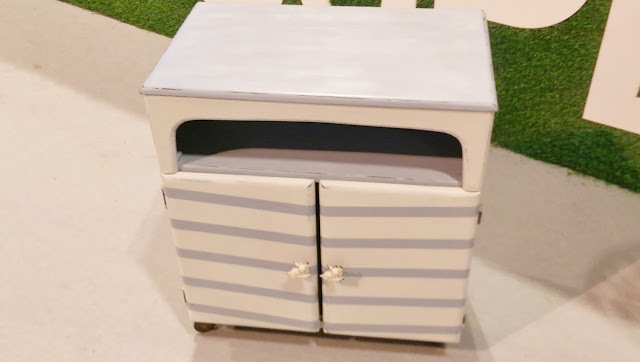 Another piece I liked of Emily’s was this cute striped cabinet. This simple paint job, and the addition of quirky deer handles, has made a boring old cabinet a real stylish and covetable piece. She sells these deer handles in her online shop and says that “handles can transform a piece and I love sourcing them- it’s a bit of an obsession. If I do change them I always keep the old ones and reuse them on another piece, or sell them on. Never waste anything! Sometimes simply painting old ones can help too or using mismatch ones on one piece is also a great way”. 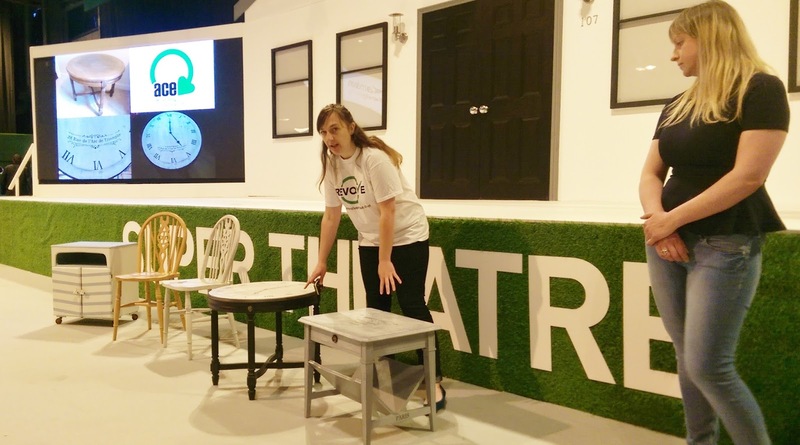 Finally, I asked Emily for her top upcycling tips to share with my readers. She said that is so important to “pay attention to the details. Think about the inside as well as the outside. Painting drawers, lining them with vintage paper, stenciling the inside, or painting details in different colours makes the piece feel more special if everything has been thought of”. She also advised that you “let friends and family know you are looking for things. All to often people have amazing stuff that they don’t really want any more. Be prepared to be scabby- I pick things up off the street all the time. It can be embarrasing, but once you have done it a few times it’s no problem anymore. Also, go for things in charity shops with minor defects- they are always cheaper and a bit of wood glue can usually solve most things! Ask family and friends for paint sample tins they have lying around too”. If you have upcycled anything, share your projects with me!